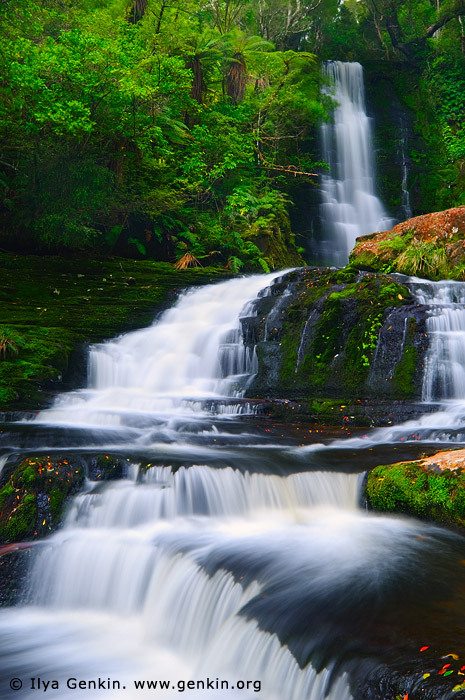 McLean Falls is a favorite travel destination amongst many of the visitors who tour the Catlins on the South Island of New Zealand. Many tourists hike through the trails to view the pristine McLean Falls at Catlins, along the Southern Scenic Route on the South Island of New Zealand, and they all have their cameras ready to take a picture of this incredible natural waterfall. This image id NZ-MCLEAN-FALLS-0005 of Upper McLean Falls, is copyrighted © by Ilya Genkin. This is not a public domain image.